In 1984 a group of white supremacists calling themselves The Order used an illegally converted .45-caliber MAC10 submachine gun to murder a radical Denver radio host. Alan Berg grew up in a Jewish family in Chicago in the 1930’s. He passed the Illinois State Bar Exam at age 22 and began a law practice. Somewhere along the way he also sold his soul. Alan Berg’s life was a study in tragedy. An innately angry, argumentative man, Berg found a dedicated following on talk radio. Berg frequently worked for the Chicago mafia and offered under-the-table cash incentives to bail bondsmen to land the best clients. As his reputation spread he began defending some of the state’s most egregious criminals. He developed a reputation as a lawyer who could get serious men out of serious trouble and made a killing doing it. The stresses of this sordid life led to alcohol, and Berg eventually began having seizures. Doctors discovered a brain tumor that was excised successfully, but this took Berg out of his law practice. Argumentative by nature, Alan Berg served as a guest on a Denver talk radio show and ultimately landed his own program. His technique was to offend everybody, and he was good at it. Berg chided Christians, blacks, Jews, women, men, gays, straights, himself, and the world. 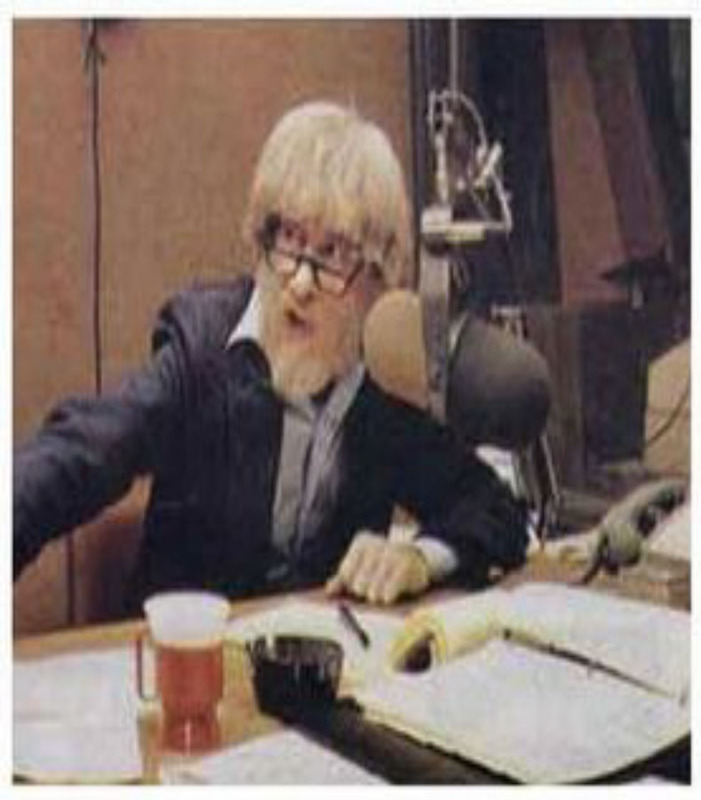 Alan Berg seethed with anger and his unique way of lashing out on the air both aggravated and entertained. Eventually, he set his sights on white supremacists and found in them his ideal opponents. Lamentably, these guys are not known for their highly refined sense of humor. The Order was a splinter group offshoot from the Aryan Brotherhood. 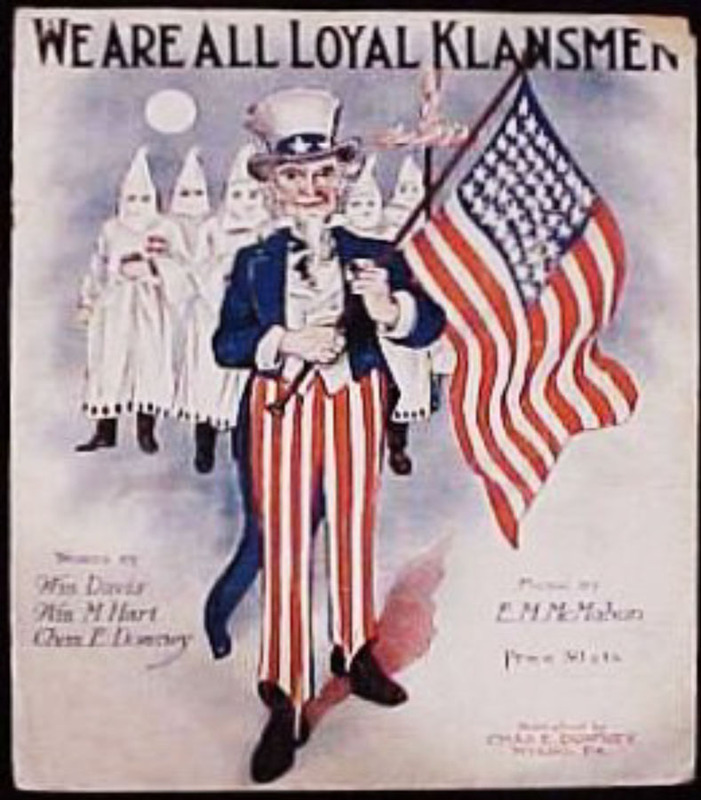 Their goal was to establish a whites-only homeland within the United States. They called themselves The Order, and they were a vile mob indeed. 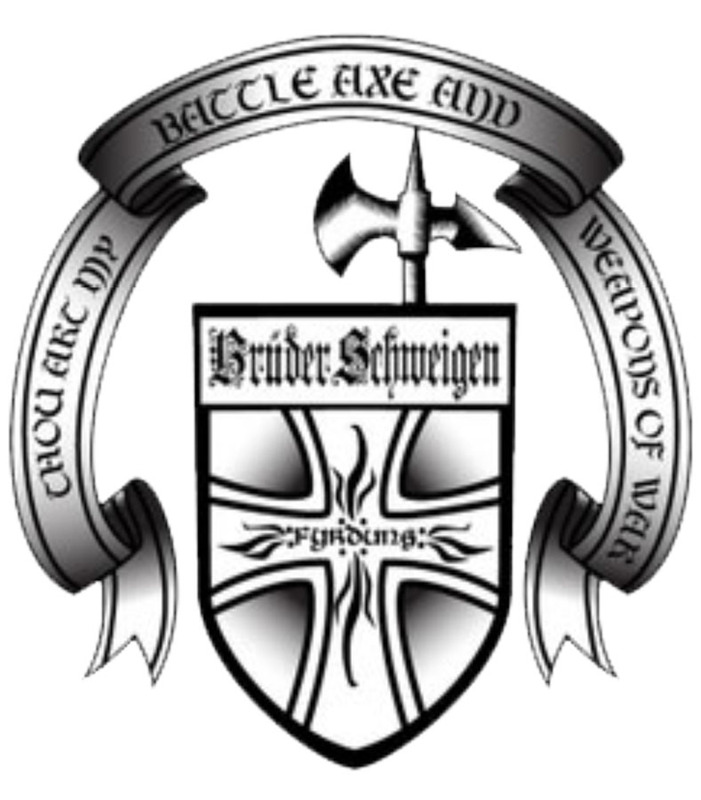 The group used synonyms like Bruder Schweigen (German for Brothers Keep Silent) and The Silent Brotherhood. Formed in the early 1980’s, these men believed that a cabal of shadowy Jews was secretly running the US government, and they pledged themselves to bring about its downfall. When servicing legitimate lumbering contracts proved to be too much work to fund their motley group they turned to armed robbery. In criminal enterprises, they found some real money. Organized white supremacist groups had their genesis after the American Civil War. They remain active in certain places today. The Order’s intended goal was to form an Aryan homeland called the Northwest Territorial Imperative from which Jews and non-whites might be forcibly excluded. They referred to the US government as the ZOG or Zionist Occupied Government. When Alan Berg began berating them on his radio show they began plotting his demise. 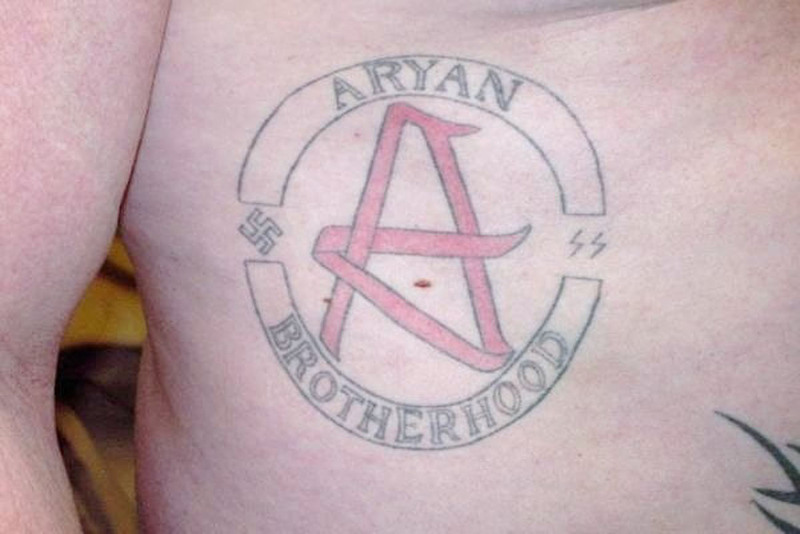 The Aryan Brotherhood in a nationwide white supremacist organization with deep roots within American prisons. Many of the group’s recognized leaders continue to influence the organization while incarcerated. On the evening of June 18, 1984, Alan Berg stepped out of his black VW Beetle convertible in front of his Denver apartment. He was returning from a dinner out attempting to reconcile with his estranged wife. 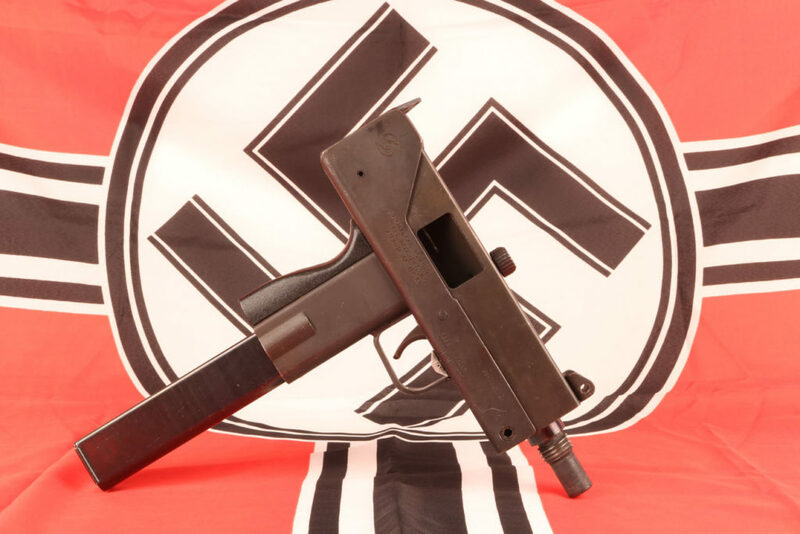 Wielding a sound-suppressed .45-caliber MAC10 that had been illegally converted to full auto, white supremacist Bruce Pierce pumped fourteen bullets into Berg’s thin frame. The mob lawyer-turned-incendiary radio host died on the spot. The white supremacists who murdered Alan Berg used an illegally converted MAC10 submachine gun equipped with a sound suppressor. 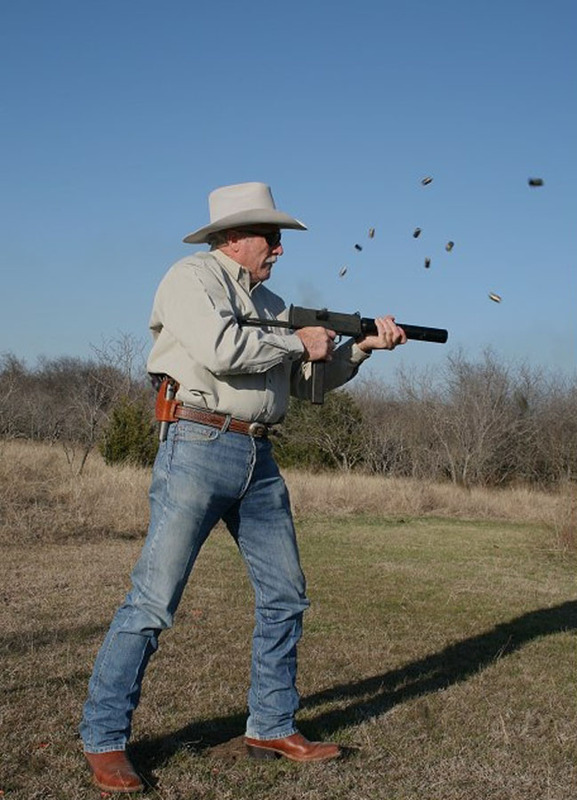 The sound-suppressed MAC10, shown here in the hands of a US Marshal, is a devastating close-range assassin’s tool. The Denver Post reported the following excerpt from the autopsy report: The courses of the bullets through Berg’s torso were hard to estimate because of the probable twisting of Berg’s body at the time he was shot. Two slugs struck Berg in the head near the left eye and exited on the right side of the neck, and two more hit on the left side of the head and exited downward on the right side of the neck. Another struck the left side of the head and exited at the back of the head. There were subsequent rumors that the attack was an initiation rite of some sort for one of the sundry white supremacist organizations that Berg had ridiculed on the air. The Denver Police Department subsequently launched the largest manhunt in its history to track down the killers. They ultimately made several arrests. Several members of the shadowy group went to jail. Pierce the triggerman got 252 years on a federal racketeering charge. His compatriot David Lane drew 190 years. Robert Jay Matthews, the leader of The Order, burned to death during a standoff with federal Law Enforcement. One might think at this point that Adolf Hitler might be universally acknowledged as the delusional homicidal psychopath that he was. Sadly, this is not the case. One man, a 29-year-old named Gary Lee Yarborough, was cornered by the FBI in a home in Idaho. The feds had actually been looking for his brother. 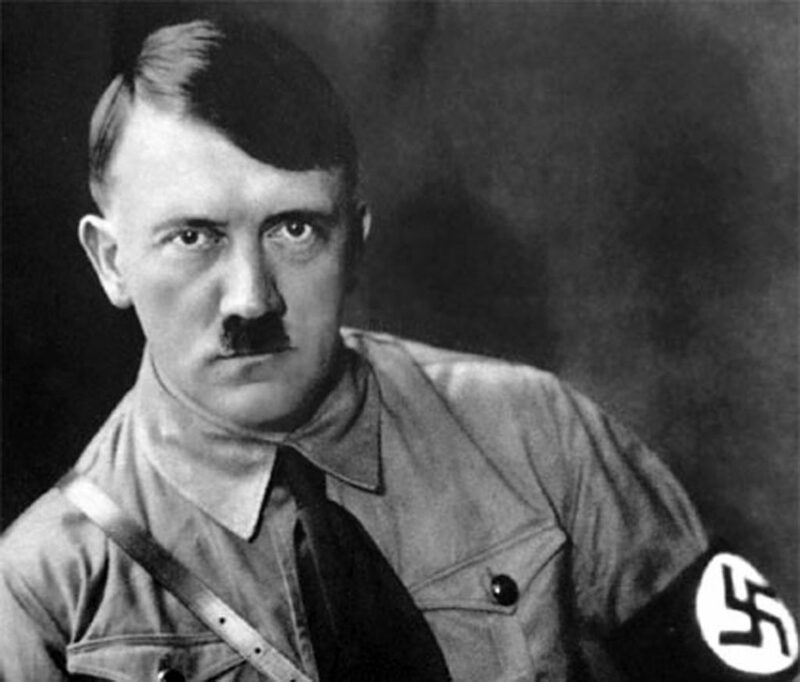 Inside the dwelling the FBI found a shrine surrounding a three-foot portrait of Adolph Hitler bedecked with black crepe paper and candles. Along with the shrine, the cops discovered a variety of firearms including a pair of illegal MAC submachine guns, more than a pound of C4 explosive, a hundred sticks of dynamite, fragmentation grenades, 110 blasting caps, and night vision gear along with a police scanner and Aryan Nations uniforms. 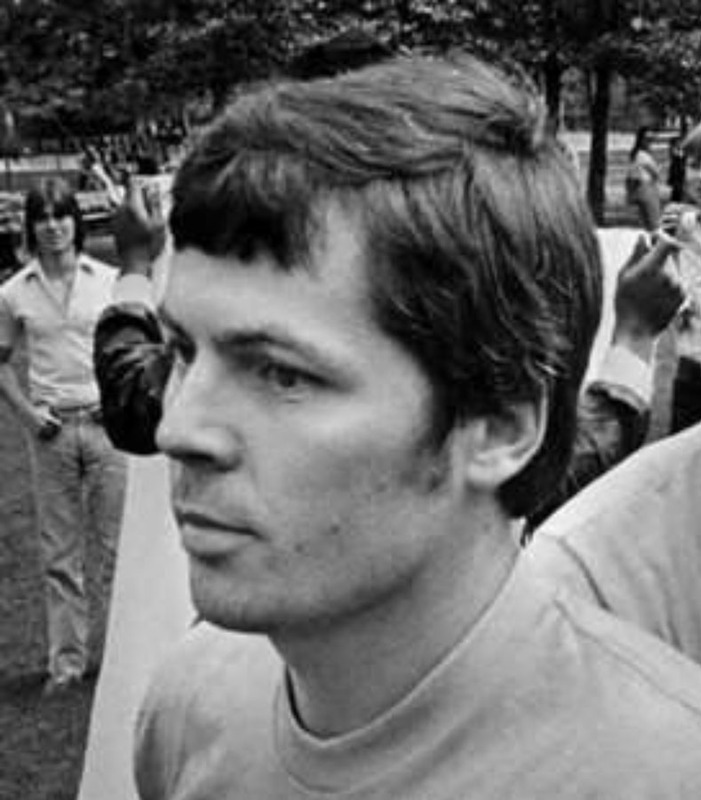 Robert Jay Matthews, the leader of The Order, ultimately burned to death during a standoff with federal Law Enforcement agencies. A MAC family portrait. From left to right is the 9mm M10, the .45ACP M10 SAP, and the .380ACP M11. Gordon Ingram originally designed the M10 submachine gun in 1964. These first Ingram guns were available in 9mm and .45ACP. A smaller version in .380ACP called the M11 came later. They all fired from the open bolt via advanced primer ignition and maximized the use of steel pressings. The diminutive size of the chassis also produced a blistering rate of fire. Both M10’s top 1,000 rounds per minute in their standard configuration. The tiny .380ACP M11 can reach 1,600. Designed in 1964, this family of Lilliputian submachine guns actually represented a fairly specialized weapon system. Ingram’s original Military Armament Corporation scoured the planet in search of buyers for his remarkable little buzzguns, and they met with some modest success. However, the company was top-heavy, and the world market was insufficient to support such a specialist’s weapon. 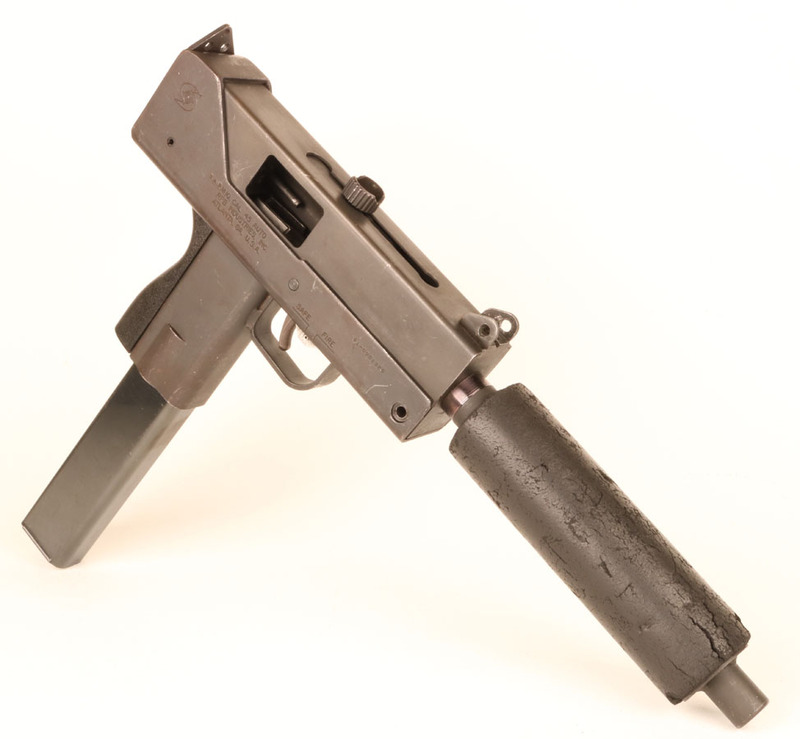 American export restrictions prevented MAC from selling sound suppressors to foreign customers, and the gun lacked much of its allure without its can. The M10 was originally intended to be used with a removable sound suppressor. The Military Armament Corporation imploded, and its inventory and assets were sold at auction. RPB bought up a great deal of this former MAC material and resumed production. 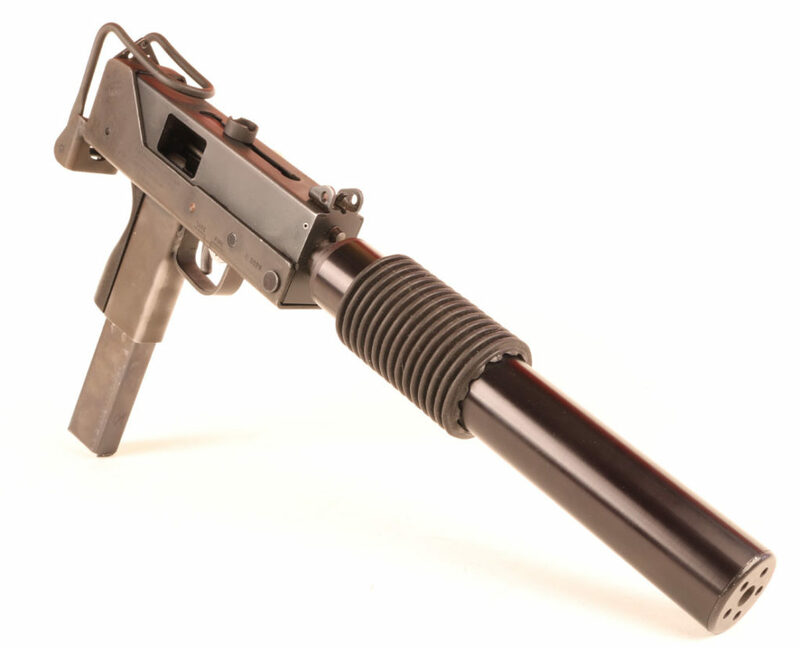 The moniker MAC10 stems from the original Military Armament Corporation but was never a term recognized by the company. When the US government restricted exportation of sound suppressors in the 1970’s the market fell out from under the Military Armament Corporation. 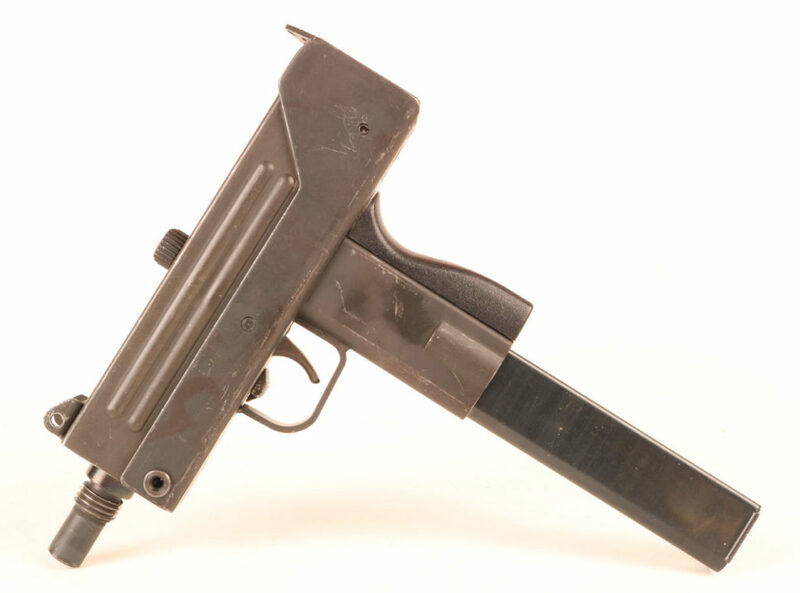 The basic M10 submachine gun was as simple as could be mechanically contrived. The firing pin was a rudimentary dimple milled into the front of the bolt. Advanced manufacturing techniques meant that each gun could be produced at a very reasonable price. RPB submitted a semiauto open-bolt version of the M10 to BATF for approval in 1978. They called it the SAP or Semi-Auto Pistol. The SAP still fired from the open bolt but lacked the selector hole in the receiver and incorporated semiauto-only fire controls. 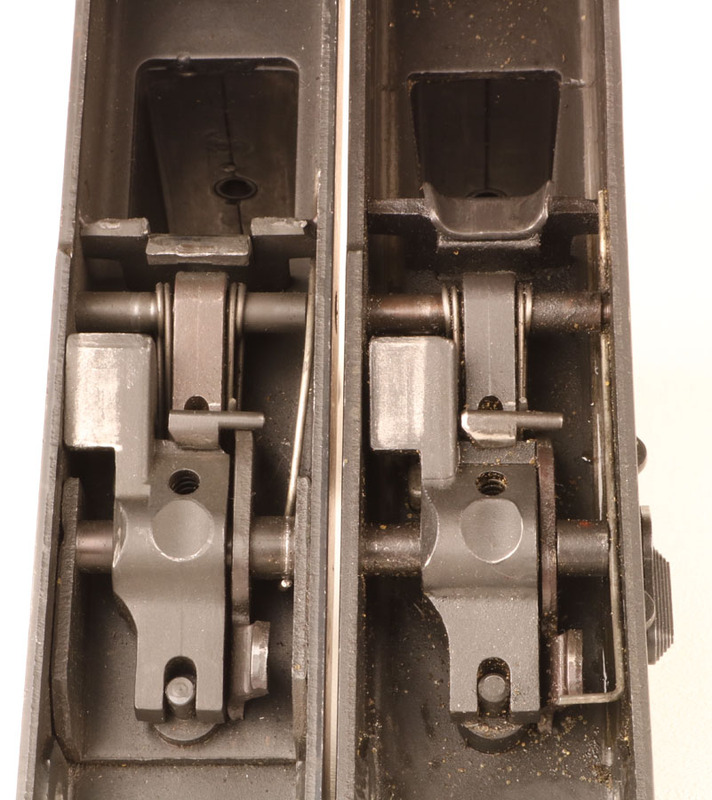 The gun also included a steel tray welded into the inside of the receiver that precluded the addition of standard full auto parts. The BATF duly studied the design and issued a letter authorizing its sale as an otherwise-unremarkable handgun. Sales were brisk and soon eclipsed those of its registered full auto brethren. 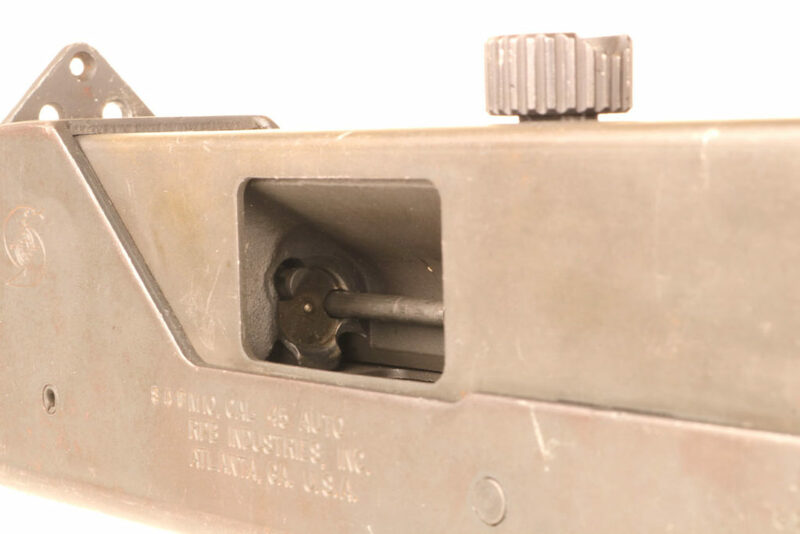 The firing pin on the M10 SAP was a simple dimple machined into the bolt face. 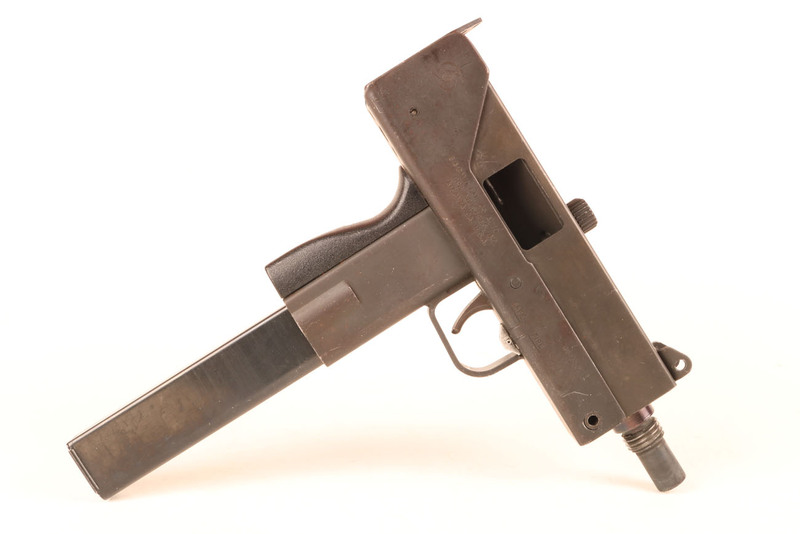 The RPB M10 SAP (Semi-Auto Pistol) was an open-bolt semiauto version of the full auto submachine gun. The frames for both weapons actually started out identically. The illicit importation of drugs into the U.S. was a multi-billion dollar industry in the 1980s, and it brought along with it inevitable violence. In the early part of the 1980’s American Law Enforcement officials seized around two hundred M10 SAP’s. While the use of legitimate automatic weapons was and is vanishingly rare among American criminals, the M10 SAP was indeed remarkably easy to convert. 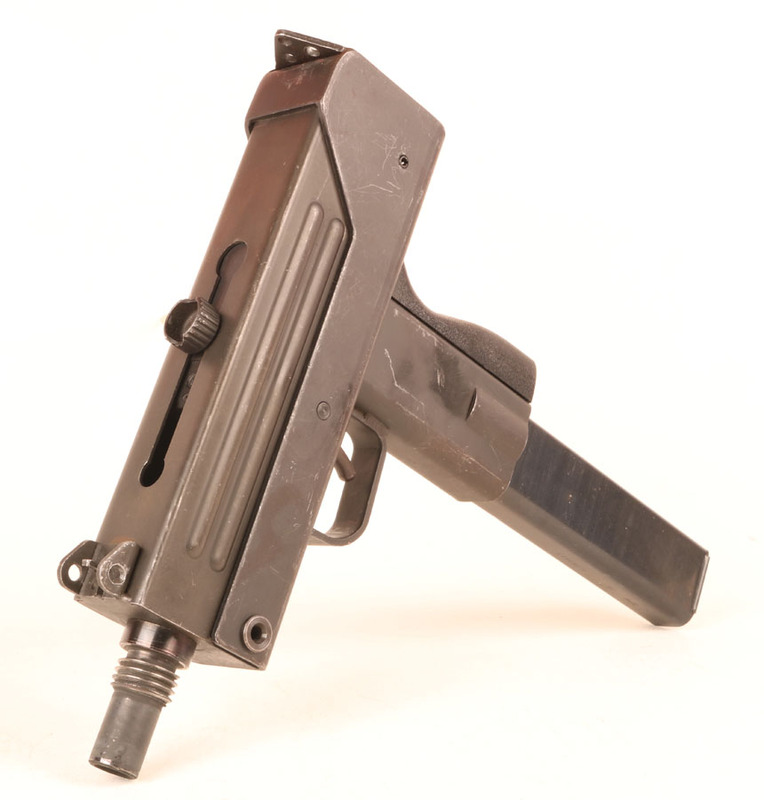 Five minutes with a Dremel tool turned an RPB M10 SAP into a full auto-only submachine gun. This is how The Order came by theirs. The M10 SAP is shown on the left alongside a full auto M10. Note the welded-in tray that excludes the addition of full auto components. The gun was still remarkably easy to convert to full auto. The RPB M10 SAP became one of the most common illegal machineguns confiscated from criminals. True automatic weapons always have been exceedingly rare in the hands of ne’er-do-wells, but most of them in the 1980’s began as an RPB SAP. 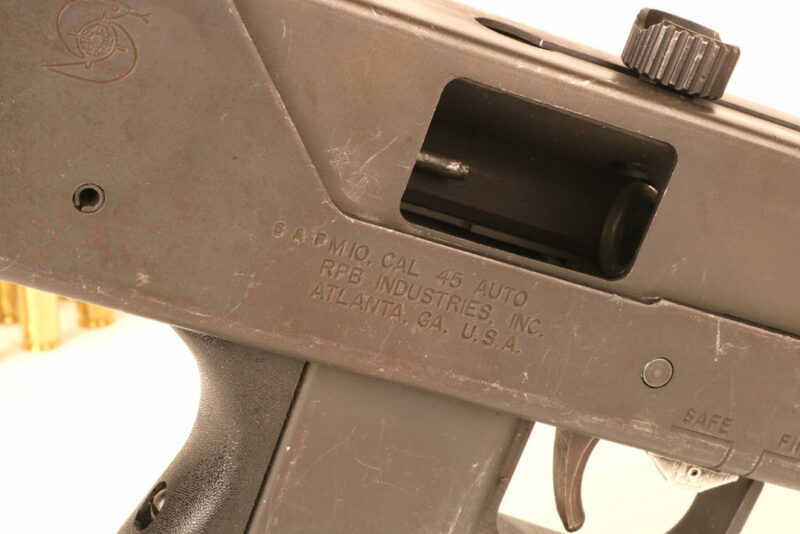 As a result of relatively widespread criminal misuse, the BATF rescinded approval of the RPB M10 SAP, and subsequent open-bolt semiautos were declared machineguns. As a result of the open-bolt reclassification RPB’s sales dropped off precipitously and the company went out of business. The gun used by white supremacists to kill Alan Berg had been illegally converted to full auto in somebody’s basement or workshop. The BATF subsequently reconsidered their earlier ruling and reclassified all open-bolt semiauto MAC guns as machineguns in 1982. Those relatively few guns sold between 1979 and 1982 were grandfathered. Any new open bolt weapons required registration and a $200 transfer tax. These original open bolt semiauto pistols are still available on the used gun market, but they are expensive based solely upon their novelty. RPB produced open bolt MAC guns in all three calibers. 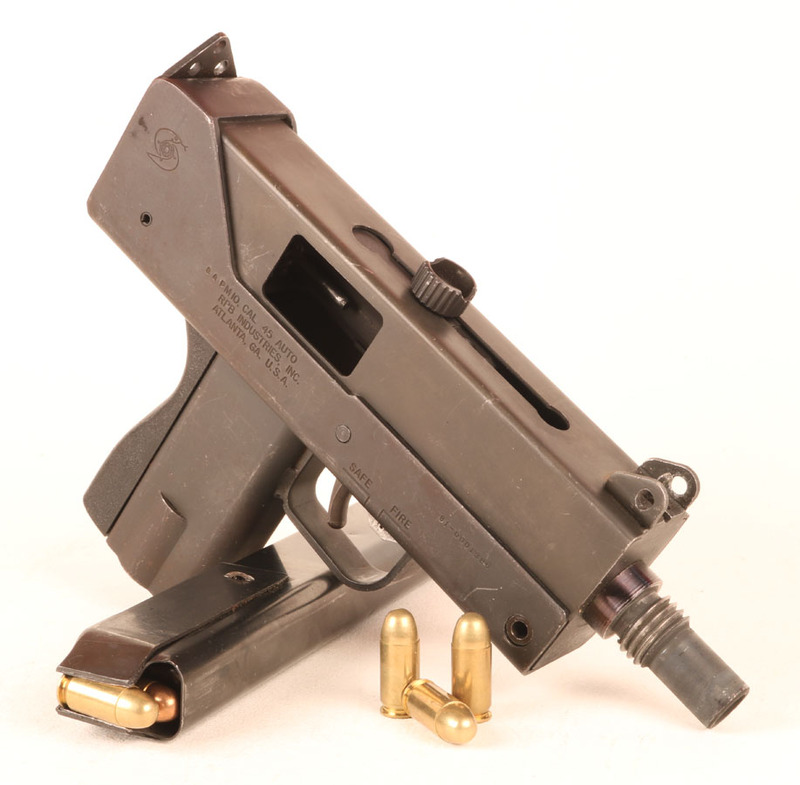 The 9mm Interdynamic USA KG9 employed the same principle in a markedly different chassis. There were a few others, but these four guns made up most of the open bolt semi auto pool. After a valiant legal struggle and a court case lost, the 1982 reclassification shut off much of RPB’s sales and the company folded. Alan Berg was a professional pot stirrer. Thanks to Berg countless thousands of listeners entertained themselves by screaming in rage at their car radios during their daily commutes. Among them were a few white supremacist zealots who felt that Berg’s exercise of his First Amendment rights to free speech constituted a capital offense worthy of death. These twisted Hitler acolytes gunned the man down with a compact pressed steel submachine gun somebody had likely modified in their basement. This is one of the few examples of the tiny little M10 subgun executing its intended mission. The diminutive weapon was too small and too fast for general-purpose use, but for close range assassination, it was in its element. 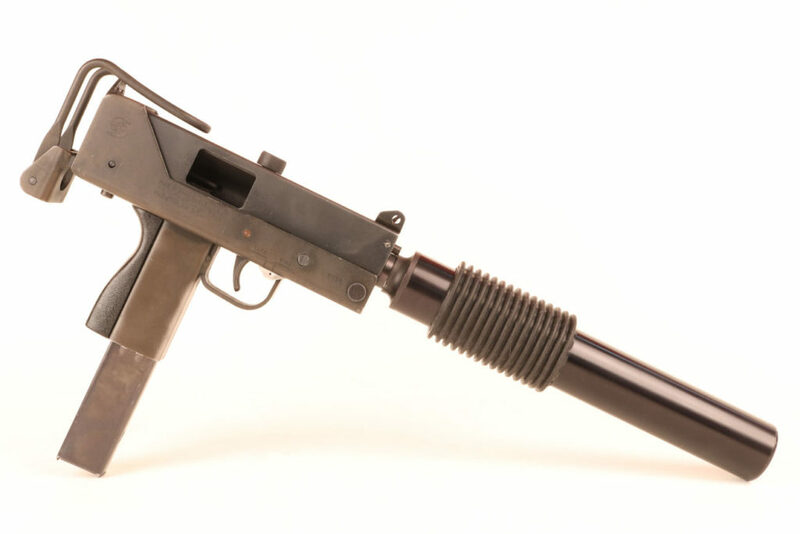 On a dark Denver street wielded by a white supremacist True Believer, the MAC10 simply did exactly what it was designed to do. About the author: Will Dabbs was born and raised in the Mississippi Delta, having been immersed in hunting and the outdoors since his earliest recollections. He holds a degree in Mechanical Engineering from the University of Mississippi and is the product of a traditional American nuclear family. Where most normal American kids get drunk to celebrate their 21st birthday, Will bought his first two machineguns. Will served eight years as an Army Aviator and accumulated more than 1,100 flight hours piloting CH47D, UH1H, OH58A/C, and AH1S helicopters. He is scuba qualified, has parachuted out of perfectly good airplanes at 3 o’clock in the morning, and has summited Mt. McKinley, Alaska–the highest point in North America–six times (at the controls of a helicopter, which is the only way sensible folk climb mountains). For reasons that seemed sagacious at the time he ultimately left the Army as a Major to pursue medical school. Dr. Dabbs has for the last dozen years owned the Urgent Care Clinic of Oxford, Mississippi. He also serves as the plant physician for the sprawling Winchester ammunition plant in that same delightful little Southern town. Will is a founding partner of Advanced Tactical Ordnance LLC, a licensed 07/02 firearms manufacturer and has written for the gun press for a quarter century. He writes solely to support a shooting habit that is as insensate as it is insatiable. Will has been married to his high school sweetheart for more than thirty years and has taught his Young Married Sunday School class for more than a decade. He and his wife currently have three adult children and a most thoroughly worthless farm dog named Dog. A “dimple” is a depression–not a protrusion, which is what the firing pin actually is. When I had an SOT, I used to shoot other dealers subguns, and the one I liked was a variant not mentioned in the article called the SM-11-9, it was one sweet shooting weapon when it had the suppressor on it. You could write you name on a target with it, if you got practiced. Although I never owned one, it is still one of my favorite designs. Just too bad I had other priorities at the time or I would have acquired one. Ahh! Those were the days, when MGs were cheap and we had SO MUCH FUN!!! I got to fire a Mac 10 in the Army. Fun but it was too small and too light. I preferred the uncouth M3 since it was my issue weapon as a M109A3 driver.Like the saying goes ” this is why we cant have nice things”. All because a handful of knuckleheads dont know how to act. Perhaps I missed your mentioning it, but there was a movie with Tom Beringer and Deborah Wenger that depicted the incident, entitled “Betrayed.” Of course it was Holywoodized, but a good watch into that world anyway. Wish I could find another copy of it. Great article. I used to give murder tours of Denver and the driveway where Alan Berg was assassinated was one of my stops. Also, wasn’t a suppressed Mac11 used by Bruce Willis in Pulp Fiction? Great piece, Dr. Dabbs! I remembered this from when I was in high school, but never knew the details! Hitler is alive and well in his Mufti buddy’s Islamic philosophy and it’s adherents. My parents survived that European shithole and brought me here to tell you that if you ignore history, you will have it rear its ugly head again to your great, soft, easy living detriment. Better put kumbaya aside and open your eyes.